According to 2016 Injury Facts drowning is the 2nd leading cause of unintentional death among children from one to four years old, accounting for 30% of all preventable deaths in this age group. 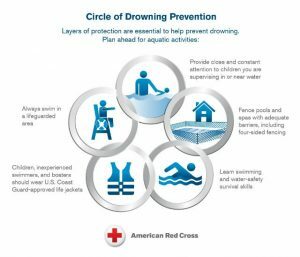 The elevated drowning risk continues through the early teens, accounting for 14% of all preventable deaths for children aged five to fourteen. Since we live on the Gulf Coast, swimming and water are a big part of family fun. But the importance of safety around water cannot be overstated. While many are aware of the importance of safety around pools and at the beach, parents also need to supervise their children near bathtubs. Nearly 30 percent of home drowning incidents occur when a child falls into a pool or is left alone in the bathtub. Be attentive when your children are near water. Teach children never to go near or into water alone – an adult should always be present. Designate an adult (or two) to be a “water watcher” and actively supervise children who are swimming. 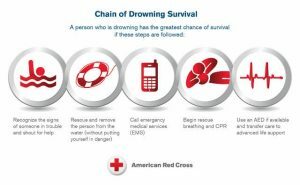 Drowning can happen silently, in seconds, and in just an inch of water. Stay nearby. When infants and toddlers are in the water, adults should never be more than an arm’s length away. Gather all items you need before starting a child’s bath. And at pools, even though there may be a lifeguard, it is important to watch over older children as well. Get a good life jacket. Traditional pool floats, like water wings, inner tubes, and pool noodles, aren’t designed to keep kids safe. Use a life jacket approved by the Coast Guard to be safer. Know what to do in an emergency. Make sure that you and anyone who takes care of your children is trained in CPR, so you’ll all be ready if there’s ever need. Find a class in your area. Start your baby out early. You can introduce your little o ne to the water as early as 6 months old. Sign your children up for swimming lessons. 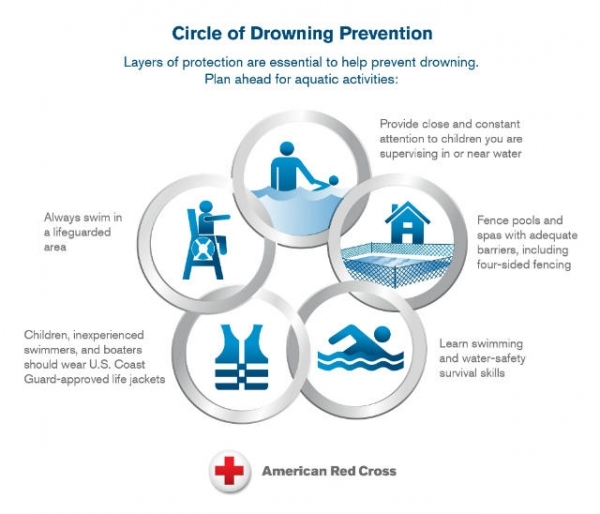 Formal lessons can help reduce the risk of drowning, especially for kids ages 1 to 4. Make sure your child knows the basics. Everyone should learn how to float and tread water, and should also know how to figure out how deep the water is. Teach kids the differences between swimming in a pool and swimming in open water. Pools or areas specifically set up for swimming are best for young swimmers. Open water in the ocean, creek or other bodies of water can have uneven surfaces, larger waves and strong currents that can make swimming more difficult. Teach children to get into the pool feet first unless they know for sure that it is more than 9 feet deep. Only then is it safe to dive, and only when an adult is watching them. Stop horseplay around the pool. Don’t let your kids run or ride bikes near the edge of the pool. Don’t let kids eat, drink or chew gum in the pool. They might end up choking. For more on choking hazards visit makesafehappen.com/choking. Empty all buckets, bathtubs and kiddie pools of water immediately after use and store them upside down and out of your child’s reach. • Keep a phone and life preserver near the pool or hot tub in case of emergency. Just be sure to keep your focus on your children if the phone rings. The call can wait.